In today's market, playing it safe is not an option. 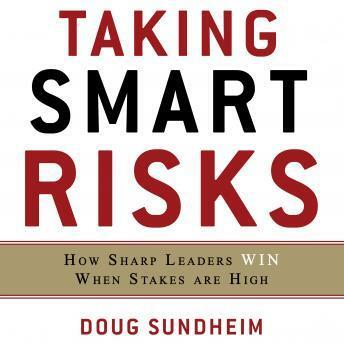 In this groundbreaking audiobook, leadership expert Doug Sundheim explains how to find that precise point between comfort and danger for generating the sustained ability to work at the highest level of performance. Find Something Worth Fighting For--What do you care enough about to risk time, energy, and money to try to make happen? Determining this is half the battle. See the Future Now--Clarify your big idea in terms of real objectives, plans, and intended results. Act Fast, Learn Fast--Make your move quickly, but be sure you don't squander valuable resources in the process. Communicate Powerfully--Assume communication will break down at points, plan accordingly--and don't shy away from the tough conversations. Create a Smart Risk Culture-- Build teams that share the same mindsets and values about expected smart risk behavior.